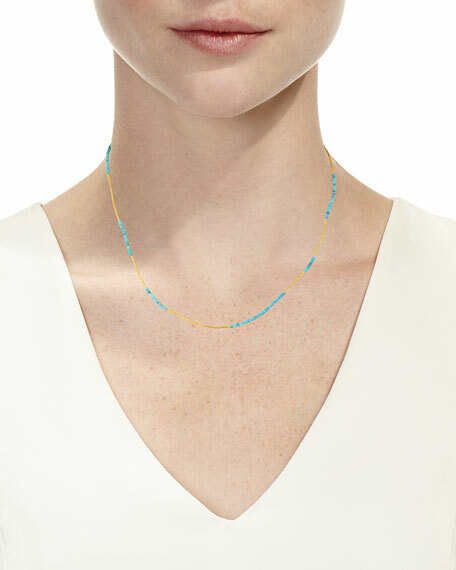 Waterfall single-strand necklace from Gurhan. 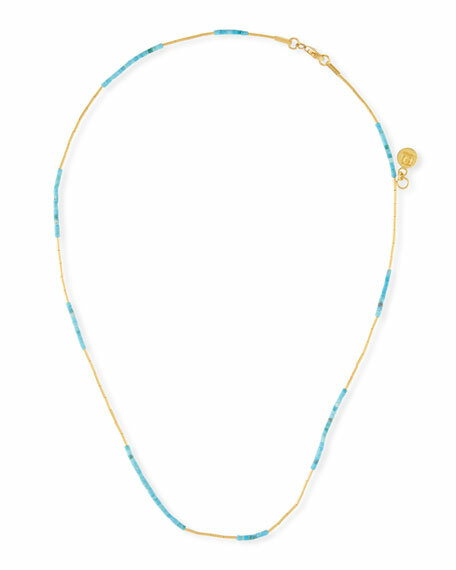 Signature 24-karat yellow gold hardware. Tubes and nine turquoise bead stations. For in-store inquiries, use sku #2657021.